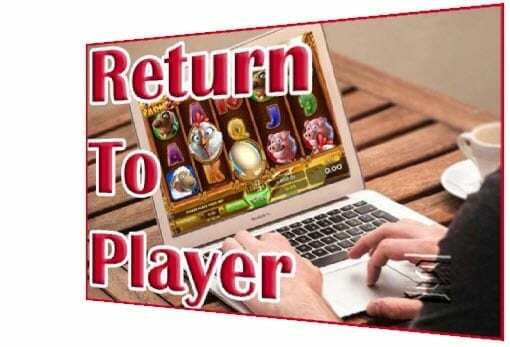 When you visit an online casino, you are sure to come across the term “return to player.” Unless you are an experienced gaming enthusiast, it is highly likely that you won’t know exactly what this phrase means or how it affects your chances of winning big. Return to player is also referred to as RTP, and it identifies the payout percentage on a game, letting you know just how high this number is. Keep reading if you want to learn more about this number and how it is calculated. 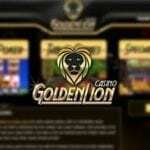 Each online casino game has an RTP. This number is expressed as a percentage. 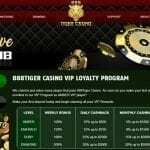 It tells players how much of the money placed as bets on this game is returned to players when they win over the course of a predetermined time period. Whether the game is a penny slot or one with higher stakes, the higher the RTP percentage is, the more money players can win from the game. An interesting fact to note is that all online casinos also have an RTP number. This number is calculated from the average of all RTP percentages on the specific games found at that online gambling establishment. Before you get too excited and think that you get to win the percentage listed in the RTP, it is important to realize that this amount is spread across all of the winning spins on the game during the time period used to make the calculation. When someone plays the game, they have the same odds of winning as the next player. Huge wins and small wins occur randomly, and, eventually, they add up to the return-to-player estimate for the game. The house edge is the smaller number left when you subtract the RTP from 100%. It is the takeaway for the online casino for the game to which it is attached. FOr example, if the RTP on a game is 93.89%, the house edge is 6.11%. What Is the Connection between RTP and Frequency? While it can be exciting to discover that the RTP on the game you want to play is listed at 94.22%, you still don’t know how often you can expect to win. You might enter the game and hit a dry spell with no wins after 30 spins of playing the full number of paylines, or you may hit a big win after your third spin on the reels. The short and long of the connection between the RTP and frequency of wins is simple. You never know what to expect. It is possible that a game with frequent wins delivers a bunch of small ones every few spins, while a game with less frequent wins tends to deliver bigger wins at longer intervals. Payouts are designed to be fair to all players, so each casino game delivers random results. This is accomplished by using Random Number Generators to keep winning spins occurring independently. The chances of winning on any given spin are the same across the board for all players. Whenever you visit an online casino, it is a good idea to check out the return to player information for all of the games you intend to play. This number provides a good indication as to whether or not the game is worth playing. While you may simply enjoy spinning the reels in anticipation of winning a few rounds, it can be even more rewarding to actually do so.